Translation: Om, Śrī Kṛṣṇa, O Vasudeva, O all-pervading Eternal Spirit, I offer my respectful obeisance unto You. [Om or Aum: Refers to the Supreme Infinite Spirit or Being. Om represents the Shabda Brahmn. It is the primeval sound (the pranava naad), the sound of the universe itself. Namo: Salutation, worship. Possibly derived from naman (to bow in obeisance). Bhagavate: Unto the Supreme Being. Vasudevaya: Unto Vāsudeva, or Lord Śrī Kṛṣṇa, the primeval Lord. As per the proleptic Julian calendar, Krishna's date of birth is July 21, 3228 BC. [Though some accounts say: 3227 BC.] Krishna (also: Krishn, Krshn, Krsna) was born under the Rohini nakshatra, in the month of Bhadrapada, on the 8th day of the waning moon at midnight. 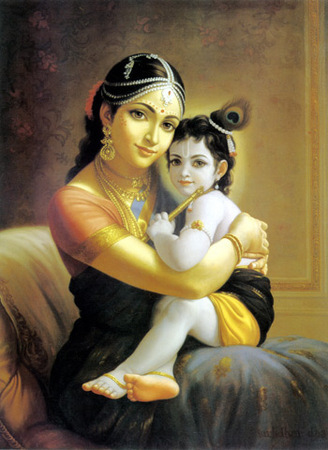 Hence, the annual commemoration of the birth of this magnificent avatar, Krishna Janmashtami (kṛṣṇa janmāṣṭami), also known as: Krishnashtami, Saatam Aatham, Gokulashtami, Ashtami Rohini, Srikrishna Jayanti, Sree Jayanti or sometimes merely as Janmashtami... is celebrated on the eighth day (Ashtami) of the Krishna Paksha (dark fortnight) of the month of Shraavan (August-September). Raksha Bandhan is celebrated on Shraavan Poornima (Full Moon). In 2013: Krishna Janmashtami falls on August 28. However, in certain parts of the country it will be celebrated on August 27 (at midnight). Śrāvaṇa is the fifth month of the Hindu year, beginning in late July and ending in the third week of August. 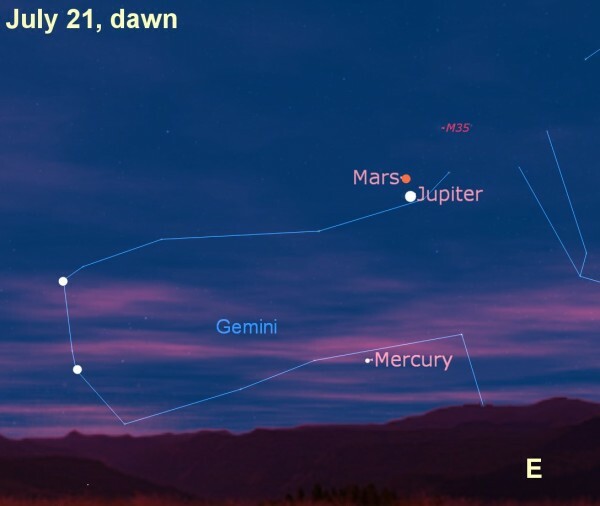 Śrāvaṇa begins with the Sun's entry into Leo. During Dakshinayana or Pitrayana (the Summer Solstice - 21st June) the Sun enters into Karkataka (Karka) rashi (Cancer). Hence, Dakshinayanam or Pitrayana is also referred to as Karka Sankraman or Karkataka Sankranti. The month of Śrāvaṇa begins with the Sun's entry into Leo. 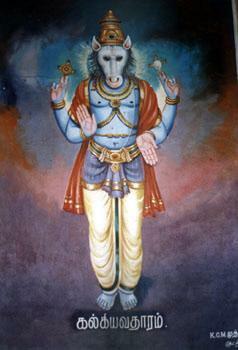 The four arms indicate the Lord's omnipresence and omnipotence. The right side of the body represents the creative activities of the mind and the intellect. The left side symbolizes the activities of the heart; that is, love, kindness, and compassion. A silent repetition of a divine name or of a verse in praise of a deity is referred to as Japa. An audible chant of such names or verses is called the Stotra. Of the latter the Sahasranama form, especially the Vishnu Sahasranama, devoted to the Lord Vishnu and the Lalita Sahasranama, devoted to the Goddess Shakti, have a special place. [Vishnu-Shakti. Narayan-Narayani. Parameshvar-Parameshvari. Jagadishvar-Jagadishvari. That's the duality. Hence: the concept of "ArdhaNarishvar". It is not literal, though, it does not mean half-man half-woman. And it does not mean 'tritiya prakriti' either. It simply indicates that the Supreme Creator (Brahmn) does not discriminate based on gender, etc. That is the essence of the "Vishwaroop", "Virat-roop" or the "Universal form" of the Supreme. "Vishwa", means universe/cosmos and "roop", means form, it encompasses/incorporates the whole of creation/universe/cosmos (and everything in it... whether seen or unseen, animate or inanimate). Translation: Service to humanity (not restricted to human beings alone) is service to God. That is true worship. 'Coz the Almighty is everywhere, omnipresent: Vishwaroop, the Universal form. Those who have understood and imbibed this message have achieved "self-realization" (Param-aatma realization). Such "self-realized" persons overcomes his or her human boundaries and becomes one with the world spirit. Translated: "I am the Supreme Spirit, O Arjun, seated in the hearts of all living entities. I am the beginning, the middle and the end of all beings." No wonder He is the emperor of our hearts. The very first name with which the Vishnu Sahasranama starts, is 'Visvam' commonly understood as 'this world' or 'this existence'. And when one notes that this word derives from the root 'Vis', which means to enter, to be present in, to support, or to pervade, one starts seeing the deeper reference to the Divine Omnipresence that pervades all existence. Multiply this example of this first name a thousand fold, and one sees the magnificent sweep and depth of the Sahasranama. In conclusion, it stresses one great fundamental truth: that a thousand names or forms, all point to but one ultimate God - the Brahmn. In lunar calendars, Śrāvaṇa begins on the new moon and is the fifth month of the year. Eka Bhukta Bhojan (taking meals once a day) or Naktha Vratam (keeping fast during daytime and taking prasad or fruits or a light meal at night). Perform abhishek to Lord Vishnu. Shravan Somvar Vrat, Shravan Mangalvar Vrat/Mangal Gauri Vrat, Shravan Sukravar Vrat, etc are also observed. However, it is entirely up to us as to how we want to observe the Shravan maas vrat. Krishna's "Dvi-vidha nishtha" (2-fold path) is not exclusive of his doctrine of "Karm Yog" - the art and science of achieving perfection in action. Meaning: sri-bhagavan uvaca: the Blessed Lord said; asmin loke: in this world; dvi-vidha: two kinds of, two-fold; nistha: faith, path, foundation; pura: formerly; prokta: were said/declared/explained; maya: by Me; anagha: O noble one; jnana-yogena: by the linking process of knowledge, i.e. the science of the individual consciousness attaining communion with the Ultimate Consciousness by the path of knowledge; sankhyanam: for the empiric philosophers; ca: and; karma-yogena: by the linking process of action, i.e. the science of the individual consciousness attaining communion with the Ultimate Consciousness by the path of action; yoginam: for the followers of Yog. Translation: O noble one [Arjun], in this world a two-fold foundation (to attain salvation) has been expounded by Me of old: by the discipline of knowledge for the followers of saNkhya, and by the discipline of action for the followers of Yog. While the rest (those who are yet to have that [meditative] bent of mind) are better off taking to an active lifestyle (be a householder). Philosophy in Sanaatan Dharma has always been practical in its motive or purpose. It professes to teach a method for attaining salvation (mukti, freedom from the constant cycle of life). Seeking the truth is not for the sake of the truth as an abstract end in itself; it is for the sake of the salvation (mukti), which that truth is believed to bring with it. You Are the Kinsman and You are the Friend (Companion). You Are My Wealth Of Knowledge, Strength, Power And Valour. July 22: Guru Pūrṇimā: The full moon day (Purnima) in the Hindu month of Ashadh (July-August) is observed as the auspicious day of Guru Purnima, dedicated to spiritual and academic teachers. This was also the day, when Krishna-Dvaipayana Vyasa (better known as Maharshi Veda Vyasa) was born to Maharshi Parashara and Satyavati, thus this day is also celebrated as Vyasa Purnima. Traditionally Buddhists too celebrate this day in honour of Lord Buddha who gave His first sermon (on this day) at Sarnath. [Lord Buddha traveled from Bodhgaya to Sarnath about 5 weeks after achieving enlightenment.] The sermon Bhagavan Shri Gautam Buddh gave to the five monks was his first sermon, called the Dhammacakkappavattana Sutta (Setting the Wheel of Dharma in Motion or Discourse on the Setting in Motion of the Wheel of Dharma and Vision). It was given on the full-moon day of Asadha. Students of Indian classical music, which follows the Guru shishya parampara, too celebrate this auspicious occasion (Guru Pūrṇimā). 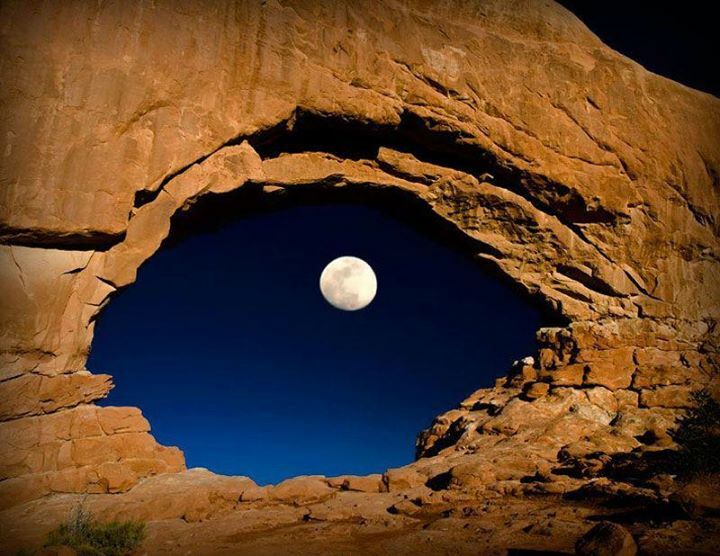 Throughout the ages, Moon has been identified and recognized to bring bountiful blessings to those seeking God's Grace. This auspicious purnima occurs once a year and is the most important time for connecting with the Divine/Brahmn. This day is significant for disciples who seek to get initiated by their Guru, students who desire to get the blessings of their teachers, and for everyone who wants to honour persons of great wisdom and learning. Monday, July 22nd, is the most auspicious Full Moon of the year (to pay one's respect and reconnect with Brahmn or the primeval Guru). Guru Purnima 2013 ushers in a new energy to inspire us to overcome our limitations, even lethargy. Let us dedicate ourselves to the pursuit of inner bliss and divine light: Sat-cit-ānanda (pronounced as: sach-chid-ānanda - one who has achieved eternal bliss of self-realization. Sat describes an essence that is pure and timeless; cit is consciousness; ānanda is absolute bliss or spiritual ecstasy). The Sanskrit root "Gu" means, darkness or ignorance. "Ru" denotes the remover of that darkness. Therefore one who removes darkness of our ignorance is a Guru. Only He who removes our ultimate darkness, known as Maayaa, and who inspires and guides us on to the path of Self-realization (Param-aatma realization) is the Supreme Guru, the Satguru. Though students refer to their academic teachers as guru, the connotation of the word guru in this case is one who imparts temporal knowledge (Apara Vidya) and is thus offered respect. ashvam ashu-gam aruhya devadattam jagat-patih: (It is said) the Kalki-avatar will come riding upon a white winged horse (Devadatta), brandishing a flaming comet-like sword, (or wielding a comet like a sword), intent on eradicating/subjugating the reign of evil/miscreants/duskrtam on Prthvi-loka. For this purpose, this avatar will reconcile all opposites (opposing sides); rejuvenate Dharma (the noble principles of Sanaatan Dharma, the 'eternal way of life' as it should be for the greater good/as per: dharma-samsthapanarthaya) so as to re-establish 'Ram-Rajya' (a just, prosperous and inclusive society). The flaming comet-like sword is a symbol for "discernment", or Wisdom, slicing away the bonds of lies, make-believe and foulness/filth, lifting the fog of confusion (from our eyes and thoughts)... thus showing the way, and thus also liberating the souls to greater awareness of truth/Sat/Satya (i.e. dharma/actions that benefit society) and goodness/Sundar (opposite of filth). It also indicates that this avatar will be a trailblazer (pathfinder, pioneer). Shri Vishnu will return as the final Avatar, amid fire and flames (utter confusion, degeneration and decay) to also set the Wheel of Dharma in Motion: to "awaken" the minds of those who live at the end of Kali Yug, so that they take corrective action by inculcating and disseminating the right values/principles/ideals... thus giving rise to a race/manav-jaati (generations, people) that shall follow the noble/Sattvic ideals of Krita/Sat/Satya Yug*. [Here: Sat/Satya i.e. "Truth" does not mean honesty, and "dharma" does not mean moralism, it does not mean religion either. That is too narrow a definition. "Truth" means dharma. Dharma, a term that transcends the mere confines of one's duty/responsibility to a higher realm of societal good. It also transcends mere personal gains. While a person's karma consists of the action they take relative to their duties, called dharma.] The Kalki-avatar is a warrior, a warrior-par-excellence; a warrior against adharm (wicked and malicious entities/evil/duskrtam), a guide and Satguru (possessor of eternal wisdom). *Sat/Satya Yug does not mean 'the age of truth'. It does not mean that everyone becomes honest or truthful. Here, "truth" does not mean honesty or moralism. That is too narrow a definition. It means that corrective measures will have to be undertaken so as to rejuvenate the doctrine of karm, which will help in the regeneration of dharma - actions that benefit society. This will ultimately lead to the rejuvenation of Sanaatan Dharma - the 'eternal way of life'. [His purpose is: dharma-samsthapanarthaya: to reestablish the noble/Sattvic principles and ideals of Sanaatan Dharma - the eternal way of life, which would have withered away.] Sat/Satya/Krita Yug is the time for spiritual transition wherein humans will have to reach a higher level of existence, by moving out of his or her inferior manas (lower mind or lower self) and gradually move into the superior manas (higher mind or Higher Self). Dharma (Sanaatan Dharma - the 'eternal way of life') is depicted in the form of a cow. However, this 'cow' is not a reference to a bovine creature per se, but symbolizes the four pillars: Sat/Satya/Dharma, spiritual quotient, karm and daan (charity in the spirit of charity, not ostentatious). In the 1st yug - Sat/Satya/Krita Yug - this 'cow' stands on all four, indicating that the four pillars are well-balanced and strong. Towards the end of the 2nd yug - Treta Yug - the 'cow' stands on three legs, signifying some amount of imbalance. Then towards the end of the 3rd yug - Dvapar Yug - the 'cow' stands on two legs, signifying an even greater amount of imbalance. However, towards the end of the last yug - Kali Yug - this 'cow' is found to be barely able to stand... on one leg. According to the Vedic scriptures, human or Earth evolution forms cycles of approximately twenty-five thousand years. God incarnates in each cycle, about every two thousand five hundred years. [However, this may not be a reference to an entire maha-yuga or a four-yug cycle, but a mini cycle within the larger maha-yuga. As for the avatars, there are 24 known avatars.] Kalkiḥ, as per the scriptures, is the tenth and final Maha Avatar (great incarnation). The name Kalki means literally, "of iron" or "machine." It does not imply that this avatar is a robot made of metal, but that His birth is in the age of iron or machines. [An age when negativities predominate. An age when noble values and principles fall below the minimum level.] The Vedic scriptures describe time in a cycle of four ages or yugs: the Golden Age, Silver Age, Copper Age and Iron Age. [Note the symbolism of the 'cow' above.] Our present age is the Iron Age, therefore Kalki is the Avatar of this iron or machine age. The 'destroying powers' of Kalkiḥ ... is sharpest of all. When avatars arrive, they trigger or accelerate karmas. Thus that which was previously suppressed or hidden is exposed. Krishna brought out both the positive and the negative, including dushkrtam/evil, exposing people, as they had never been known before. Krishna knew who He was and what His purpose was. Krishna knew each soul already and so will Kalki (i.e. just like Krishna, Kalki too will know who was what in his or her previous birth. Just like Krishna, Kalki too will remember His own previous appearances. And just like Krishna, Kalki too will be the 'healer' - Dhanvantari). The avatars create situations - time, place and opportunity - which bring forth both the good/positive as well as the bad/negative. [One can say: so as to let out the "toxin" or "poison" or "filth".] 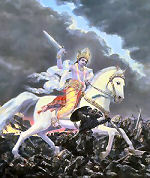 We gather that the Kalki-avatar will start His campaign in His thirty-second year and roam the earth for twenty years (slicing away the bonds of lies, make-believe and foulness/filth; lifting the fog of confusion (from our eyes and thoughts)... thus showing the way; exterminating with His sword the Prabda Karm of numerous entities/persons [those whose minds are devoted to iniquity] thereby 'liberating' them. Preventing their inevitable journey/descent into one of the Hellish planets, or maybe even to the lowest of the Hellish planets. [The Lower Planets (Adho-Lokas) are not to be confused for the Hellish planets. The latter are further below.] And thus also providing them with an opportunity to accrue Punya Karm - positive balance of Karm). The Kalki-avatar (like the Krishna-avatar and the Buddh-avatar before Him) is also Satguru, primeval guru. And only the Almighty, the Satguru (possessor of eternal wisdom) can forgive, 'liberate' and wipe out the entire stock of bad/negative/Prabda Karm (the metaphoric 'paap-ka-ghada'). No amount of rituals can make it happen. Any other guru can only offer temporal knowledge (apara vidya). [Manava Grihyasutra, Manava Sulbasutra and Manava Dharmashastra (Manusmriti or rules of Manu) texts are ascribed to Svayambhuva Manu. (However, since several of our ancient texts have been tweaked, embellished and even rewritten, we cannot rule out the same for these texts too). There are innumerable universes, with one Brahmā in each of them. There are fourteen Manus who are prominent within this universe, each overseeing a manvantara or manuvantara. "Manu" is a title for the one who rules a manvantara. Each "Manu" is endowed with great knowledge and wisdom. [The word "Manav", signifying human or humanity, comes from "Manu". Manav = human, mankind; antara = period, cycle.] Each kalpa (1,000 maha-yugas) is reigned over/overseen by a succession of 14 Manus, and the reign of each Manu is called a "manvantara". A single manvantara is approximately 71 maha-yugas. 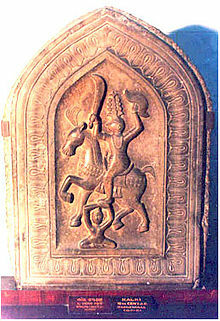 Yajña as Svāyambhuva Manu is the first Manu. Vāmana as Vaivasvata Manu is the seventh and current Manu. [Thus, we are in the seventh Manvantara, named as: Vaivasvata Manvantara.] His original name is Satyavrata. He saved mankind from the great deluge by building specially designed boats/ships (nao) as per the advise of the Matsya-Avatar. [tumhi ho naiyaa tumhi khevaiya/You are the boat and You are the boatman. tumhi ho saathi tuhmi saharay/You are the companion and You the support: Dolphins provide guidance to ships caught amidst swirling waters. Similarly, the Matsya-Avatar provides guidance during very difficult times. Also: this avatar will swim against the tide to rescue/salvage humanity and society, and will not shy away from taking the plunge no matter how turbulent the waters - for the benefit of humanity and society... and to re-establish dharma: dharma-samsthapanarthaya.] Each Manu is the progenitor of a line/lineage. Therefore, each Manu is the progenitor of a group of humans, who eventually intermix. Thus it has been said that Manu is the 'progenitor of mankind' - Manav-jaati ('lineage of Manu') or manuṣya-jaati ('born of Manu'). And thus, all human beings are therefore called Manava. Kali does not mean demon, Kali means bud. However, the Golden Age of Kali Yug will gradually wither away to make way for the 'Iron Age' of Kali Yug. yarhy ālayeṣv api satāḿ na hareḥ kathāḥ syuh: And when Kali-yug comes to a close, the lower modes of material nature will become so strong that people will lose interest in spirituality, in dharma and in the doctrine of Karm. Talent and intellect will be envied as well as ridiculed. Sanaatan Dharma will become ostentatious and a means of livelihood. The scriptures will be misinterpreted to serve adharm. Spiritually advanced persons will be rare. svāhā svadhā vaṣaḍ iti sma giro na yatra: The planet will be filled with people who will be unable to understand logical conversations. They will be too slow-minded and dull-witted, not capable of being taught much. They will lack common sense and perspective; they will not know what they need to do; instead they will be fond of dry meaningless arguments. Thus, there will be great imbalance. Prthvi-loka will be overly disturbed by evil/duskrtam who will instigate constant disturbances and upheavals. At such a time (according to various texts including the Mahabharata) a radiant Brahmana (erudite person?) named Kalkiḥ Vishnuyasha, possessor of immense Sattva Guna (noble traits/qualities), matchless splendour (charisma? ), great energy, intelligence and prowess/valiance, will be born. So as to restore balance, order and peace in the world, to destroy/subjugate evil/duskrtam (to prevent chaos on Prithvi-loka) and to rejuvenate dharma (dharma-samsthapanarthaya) in society. [Valour is a special human quality, usually demonstrated in the performance of extraordinary and unselfish deeds (nishkam karm) in the face of great peril - for the greater good.] Kalkiḥ will be just, dynamic, sharp, well-educated, well-mannered, a thought reader (antaryāmī), a face reader (physiognomy, mukh-samudrik) and a forecaster, besides possessing immense knowledge of world affairs, excellent negotiation skills and mind travel techniques. Kalki will indulge in intense diplomacy and lead a life of self-discipline, i.e. will be a Rajarshi. [Raja + Rishi.] Kalkiḥ and His consort: one will be fair complexioned, the other dark. Meaning: they will be opposites of each other [जगाम त्वरितो ऽश्वेन शिव-दत्तेन तन्मनाः] This is unsurprising, 'coz none can equal the Unicorn. [Ekashringa - one without a parallel.] They will be married as per traditions [धर्मान् संस्थापयिष्यसि] The beloved of Kalkiḥ (कलि-प्रियान्/Kali-Priyanh) is named Padma/पद्मां (meaning: lotus; lotus-like face/Mukhakamal? Good looking? Serene or pleasant looking? Or could it mean: beloved of the "lotus"? And as we know: Lotus is Nirmal. Lotus is serene. Lotus is pleasant. The Lotus Flower represents the "primordial purity" of the body, speech, and mind.) Padma lives in Sinhal-dveep/सिंहलद्वीप or Sinhale/सिंहले | (Sinhale = Sinha [Lion] + le [of]; dveep = island. Sinhal-dveep = "the island of the lion".) || समुद्र-पारम् अमलं सिंहलं जलसंकुलम् || ~ This spotless/clean land of the One is surrounded on one side by sparkling waters. There is a great ocean beyond these sparkling waters. People will be too strongly in the mode of ignorance to even comprehend the basic concepts of dharma and karm. So Lord Kalkiḥ will not come to preach (unlike Lord Buddha - the Enlightened One). Instead, Bhagavan Kalkiḥ will be the doer (karm yogi) of Kali Yug. The word Kalki can also be taken as an abbreviation of the word Nishkalanka. Nishkalanka means Nirmal (spotless, crystal clear). However, at the end of Kali Yug, in this 'dirty mud', a great task has to be accomplished. As the Mahabharata says: "Having stabilized the Earth in its own place, the Supreme Purusha, with His limbs dripping with water and mud accomplished His work for the benefit of the world." This is self-explanatory. [Purusha does not mean male. Purusha = Cosmic Spirit.] Dharma, justice, goodness and humanity have to be rescued/uplifted despite great odds. The world has to be saved from chaos. The end of Kali Yug is a time of great adharm. Dharma, justice, karm and goodness declines below a minimum level, so much so that it is even beyond the greatest of sages, holy people or yogis, to raise the consciousness and purify the Earth. At such a time God incarnates to take care of His children. The Kalki-avatar will help humanity and save this world. And just like Lord Krishna, this avatar too will be firm, decisive (not arrogant or boastful) and a people's person. [God is always amongst the people. God resides in the heart of all living beings. 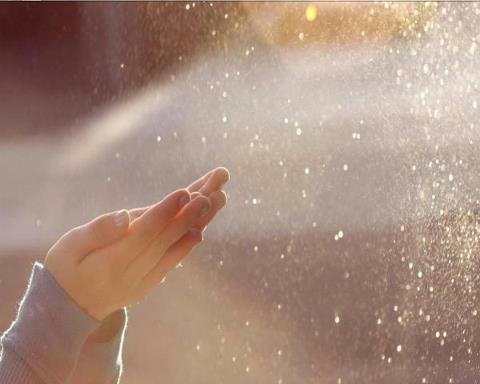 The Almighty is present within the heart of every heart as the Supersoul. God never shies away. Nar-Narayan is one of the 24 avatars. Nar = human or humanity. Narayan = another name of Shri Maha Vishnu. It means: benefactor of mankind/humanity (not restricted to humans alone).] A one-man army, He shall carry with him the conviction, tenacity, determination, dedication and humility of Lord Ram, the extraordinary calibre, keen insight, good judgment, nonpareil intelligence and illumined wisdom of Lord Krishna and the compassion and forgiveness of Lord Buddha. The Crusader (Reformer-Soldier-Statesman) who shall set things in order shall be known as Kalki... the annihilator of the present Kali Yug - the Iron Age. It would be beyond the capacity of ordinary humans to assess and understand the phenomenon that would be termed as Bhagavan Kalki - the deliverer of the Yug of Kali. Bhagvan Kalkin, equal in stature to Lord Krishna... will be a magnificent avatar and the 'yugavatar' of Kali Yug. He truly shall be a man of wisdom. It is about 5000 years since the advent of Lord Krishna on Prthvi-loka. During His time dharmic ideals had crumbled under the influence of entities like Duryodhan, Dushshasana and Shakuni. Also: Duryodhan had tactfully sent the Pandavas on a 12-year exile with the 13th year to be spent incognito. If their identity were to be revealed during the 13th year, another cycle of 13 years would ensue. [Lord Krishna... who happened to be a cousin of both the Pandav and the Kaurav Kings knew the game being played by the evil Duryodhan (under the guidance of the wily Shakuni). Krishna's brilliance, euphemistically known as 'Sudarshan Chakra' cut through every vyuh. The Mahabharata War was 'Dharm-Yudh', battle of principles. It was not fought over land or property, but to defend certain Sattvic (noble) principles and values. It also foiled Duryodhan's machinations, thereby saving society and Sanaatan Dharm from adharm.] At the end of Kali Yug... a person of the stature of Kalki Bhagavan will be required to show the way - to deliver humanity and revive society. [Is that a pointer towards Mahabharat II? Only time will tell. But then the Kalki-avatar's arrival will be to prevent such an event.] Every era (yug) sees the arrival of a Sanatana Purusha (a purn avatar, manifest God Himself; Purusha = Cosmic Spirit) - One who is much higher than aḿśa or partial avatars. Such a One is a yugāvatāra. Every Yug needs an Avatar to announce the start of the journey. And every Yug needs an Avatar to announce the closure of that journey (plus the impending arrival and/or commencement of a new one). Thus every Yug has its own Avatar. The departure (to Vaikunth-loka) of the Maha Avatar or yugāvatāra signifies either: #1. Yuganta: the end of an era/yug + the commencement of a new era/yug, or #2. 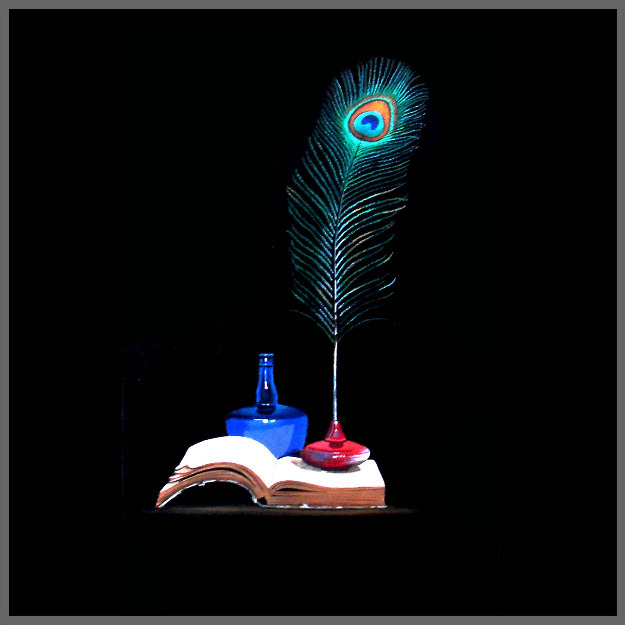 Yuga-sandhya - the twilight of an era/yug. The current Kali Yug began: at midnight of 18 February in 3102 BC in the proleptic Julian calendar. This is because, Lord Krishna departed on 18th February 3102 BC. The period after his departure marks the beginning of Kali-yug. Given the cyclical nature of each maha-yug (a four-yug cycle: Sat/Satya/Krita, Treta, Dvapar and Kali Yug) and its ratio of 4:3:2:1, we can conclude that: Kali-yug (the final yug of each maha-yug) will be the shortest. Krita/Sat/Satya Yug will follow it. Therefore: the time on earth by the respective Maha Avatars will be in descending order. [Shri Krishna lived among humans for 125/126 years. Gautam Buddh for about 80 years.] So the Kalki-avatar's time on earth will be the shortest. And this is not surprising, 'coz in His periodic appearance/arrival (albeit in human form/incarnation/avatar) as part of "... sambhavami yuge yuge"... S/He does what none (no other mortal) can do. S/He also heals + provides guidance and shows the way [i.e. S/He puts together the required framework/architecture, sets the ball rolling, sows the right seeds and creates the road-map for the future, besides identifying the most suitable entities (among the available ones) to carry forward the task/work. Thereafter, it is for others (His 'instruments', et al) to accomplish the unfinished/remaining task... as part of their karm yog. Once S/He accomplishes what S/He set out to do... S/He departs (to Vaikunth-loka).] 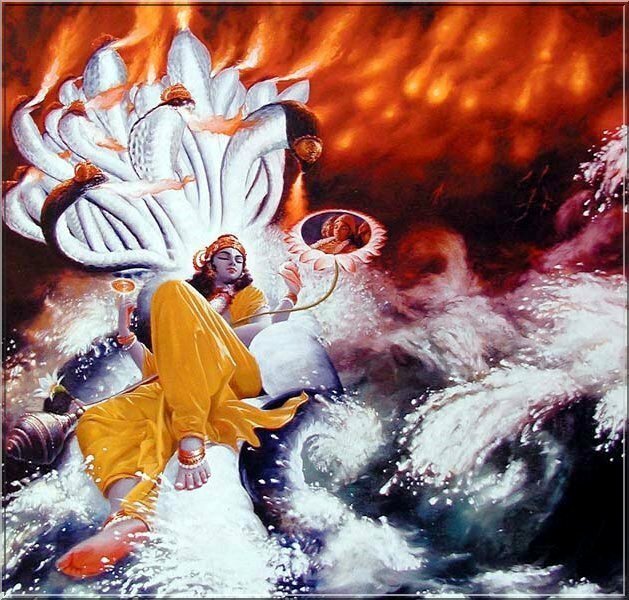 The transition from each Kali to Sat/Satya Yug will be accompanied by some amount of natural disaster. But a 'pralay' may not precede each Sat/Satya Yug. However, if humanity chooses to remain unprepared for natural disasters (and/or contributes towards it), then as Swami Vivekananda said: "The wind is blowing; and those vessels whose sails are unfurled catch it, and go forward on their way, but those which have their sails furled do not catch the wind. Is that the fault of the wind?" Nostradamus has predicted the coming of the 'blue-turbaned-one' (from the East). His quatrains are not to be taken at face value. Therefore, this 'blue-turbaned-one' means: one belonging to a country that has the makings of a 'blue turban'. The Indian Peninsula, ocean topped and surrounded on both sides by seas (blue-hued waters), forms the shape of a 'turban'. Thus, Bhagavan Kalki has to be from India, the land of Shri Ram, Shri Krshn, Bhagavan Mahavira and Bhagavan Shri Gautam Buddh, among other greats. [However, in the current maha-yuga (the four-yug cycle: Krita/Sat/Satya Yug, Treta Yug, Dvapar Yug and Kali Yug) the ninth avatar, Bhagavan Shri Gautam Buddh, is not part of one faith, while the Kalki-avatar too appears to be part of many faiths. And this too underlines the importance of this Maha Avatar. No wonder: "As the different streams having their sources in different paths which men take through different tendencies, various though they appear, crooked or straight, all lead to Thee." And that: "Whosoever comes to Me, through whatsoever form, I reach him; all men are struggling through paths which in the end lead to Me."] The name "Bharatadesam" means, the 'Land of Bharat' or the 'Land of the Bharatas'. "Bharatadesam" is also known as "Bharatavarsha", which literally means the continent ('varsha'; Sanskrit) that is dedicated ('rata') to light, wisdom ('bha'). Our Vedic Rishis and Munis (learned and enlightened persons) devoted themselves to the quest for the Eternal Truth or 'illumined knowledge' (kevala jnana) and the Ultimate Reality or eternal bliss (spiritual ecstasy) i.e. satchidananda. 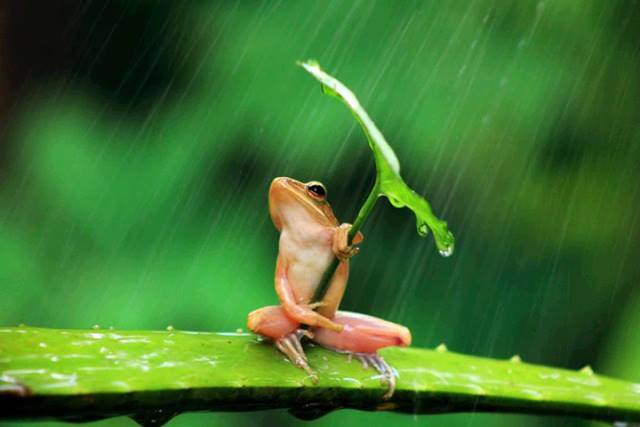 The planet creates what it needs again, and after years of drought and famine the clouds will supply rain again: this probably means, that once balance and Dharma is restored, as re-established by Bhagavan Kalki, the planet (and society) begins to heal and rejuvenate itself. Aspects that were either extinct, fast eroding or very low (due to the imbalance) will appear again. And so, everyone will again live in harmony and work towards a common cause and goal, based on spiritual upliftment, prosperity and Loka-kalyana/the greater good. In other words: a just, prosperous and inclusive society: Ram-Rajya. Such a one... who shall be termed as Bhagavan Kalki... one equal in stature to Lord Krishna shall guide humanity. One who was known as Lord Krishna then shall be known as Lord Kalki now. In the circumstances when society (and even Prthvi-loka) finds itself totally handicapped and without a solution... at such a time it is only the Almighty who can help humanity come out of the confusion/chaos ... and rejuvenate itself. Thus, Bhagavan Kalki will be the doer (karm yogi) of Kali Yug. [Please note: 'Ram-Rajya' does not mean welfare economics. 'Loka-sangraha' or 'Loka-kalyana' does not mean welfare economics or even welfare society. It means: welfare of all, the greater good. Their foundation is based on 'Raj Dharma' and Karm Yog. 'Ram-Rajya' means: a just, prosperous and inclusive society. The two pillars of 'Ram-Rajya' are Dharma and Karm (we have already discussed what they mean earlier in this post.) Shri Ram, a "Maryada-Purushottam," one who overcame numerous barriers to eliminate social ills, is also renowned for upholding 'Raj-dharma', the duties and responsibilities of a ruler. He was a nation-builder (just like Shri Krishna). We have had a robust trading history since Treta Yug. Plus: the technology, technical know-how, literature, et al at their disposal is way ahead of us. 'Ram-Rajya' is still a reference point since it is the best of the best... among all the golden ages we have had. In the current yug (Kali Yug) e.g. Samraat Chandragupta Maurya, Samraat Ashoka and Samraat Vikramaditya strove to re-establish Ram-Rajya and were successful to a great extent. Hence their rule is associated with Golden Age. Translation: "If hundreds of thousands of suns were to rise at once into the sky, their radiance might resemble the effulgence of the Supreme Spirit." Translation: "The ignorant deride Me when I descend in My human form. They do not know My transcendental nature as the Supreme Lord of all that be." [krishnas tu bhagavan svayam: from this we can also understand the importance of Bhagavan Sri Kalki. Thus, this avatar too will be velvet blue-hued... signifying the Varaha-roop (besides His role as Ghanshyam - the Supreme Neelkanth). Of all the roop/forms of the Supreme, the Varaha-roop is the greatest. However, all the Maha Avatars are Ekashringa Varaha - the one-horned boar, or Unicorn Boar. It does not refer to any animal per se. Ekashringa or Unicorn indicates rarity, one without a parallel. Incidentally, the current kalpa is the Shvetavaraha Kalpa, the "cycle of the white boar." (Svheta or Shveta = White. Varaha = the great boar). Krishna, the 8th Vishnu, will return as Kalki, the 10th Vishnu. 1.2: The Guru is Verily the Para-Brahmn (Supreme Brahmn), Salutations to that Guru. असतोमा सद्गमय। तमसोमा ज्योतिर् गमया। मृत्योर्मामृतं गमय॥ ॐ शांति शांति शांति - बृहदारण्यक उपनिषद् 1.3.28. Aum let there be peace within ourselves, let there be peace in the world, let there be peace in the universe." 'Chaturmas' begins from this day. Chaturmas literally means "four months", derived from the Sanskrit catur, "four", and māsa, "month". The sun enters the zodiacal sign of Karka (Cancer) and begins to move southwards in the month of Ashadh. Chaturmaas (Sanskrit: Cāturmāsa) is a holy period of four months (July to October), beginning on Shayani Ekadashi - the eleventh day of the first bright half, Shukla paksha, of Ashadh (fourth month of the Hindu lunar calendar/Shaka Samvat) - until Prabodhini Ekadashi, the eleventh day of the first bright half of Kartik (eighth month of the Hindu lunar calendar) in Hinduism, Buddhism and Jainism. Major festivals within this holy period (Chaturmaas) include: Guru Purnima, Krishna Janmashtami, Raksha Bandhan, Ganesh Chaturthi, Navratri (Durga Puja - Vijayadashami/Dussehra/Dasara) and Diwali/Deepavali. 3. A Rare Look at an Iridescent Cloud: We've been told that every cloud has a silver lining - but did you know some clouds wear a rainbow cap? 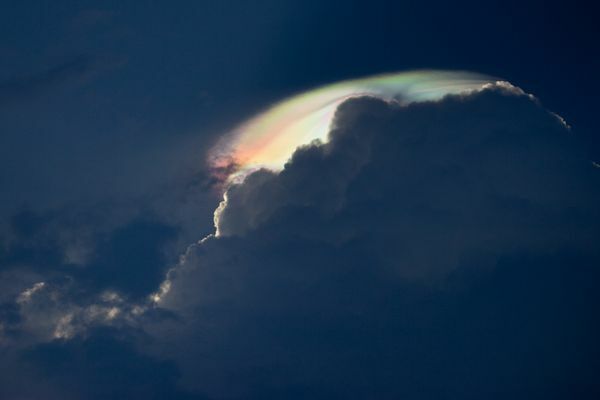 This breathtaking photo (captured in mid-July) is of an iridescent cloud, a phenomenon occurring right in our own atmosphere. Iridescent clouds, known as "rainbow clouds," occur when sunlight diffracts off water droplets in the atmosphere. 4. 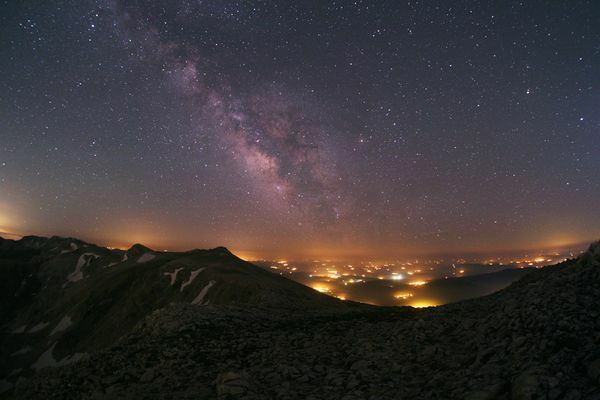 Starry Night: Despite the glow from towns scattered throughout the valleys near Uludağ Mountain in southern Turkey, stars that form part of the Milky Way shine brightly in the skies above in this picture released July 6. 5. 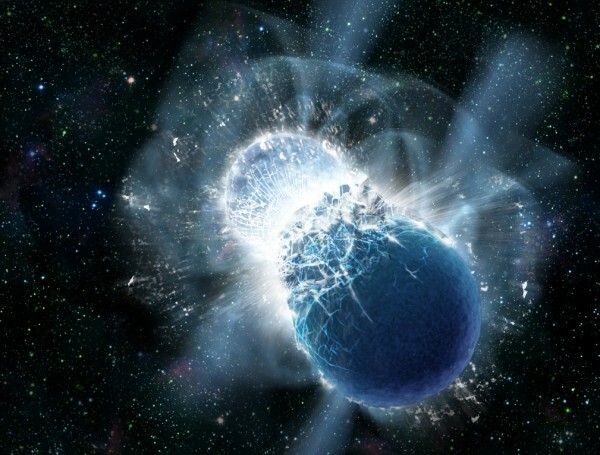 Cosmic Gold: This artist's illustration shows two neutron stars at the moment of collision. New observations confirm that colliding neutron stars produce short gamma-ray bursts. Such collisions produce rare heavy elements, including gold. All of Earth's gold likely came from colliding neutron stars. Until now, astronomers believed that all the gold on Earth, and in the universe, was forged in ancient supernova explosions. But new evidence indicates that the birth of this precious metal is due to the cataclysmic collision of two neutron stars. 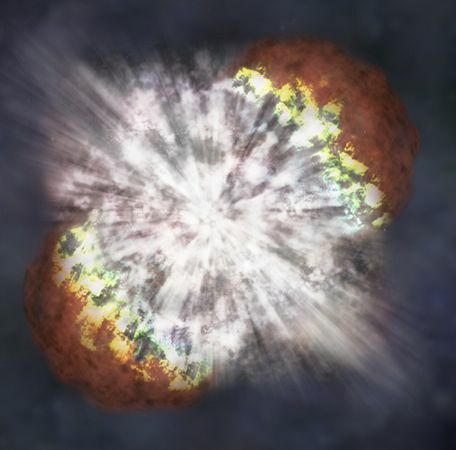 The impact produces a titanic flash of intense but short-lived gamma ray bursts (GRB) along with a debris cloud filled with a complex cocktail of heavy elements, including copious amounts of gold. Using NASA's SWIFT gamma-ray hunting satellite, astronomers on June 3 detected just such a distant, high-energy explosion - dubbed GRB 130603B - some 3.9 billion light-years from Earth. The team of astronomers estimates that material (some of it gold) equal to about one-hundredth the mass of our sun, was ejected by the gamma-ray burst. The resulting infrared glow from the burst can only be produced by the radioactive heavy elements rich in neutron stars, and the team believes it indicates that GRBs are a product of two neutron stars merging. With several moons worth of gold being produced by just one GRB, and the many such blasts that are thought to have occurred since billions of years, astronomers suggest that neutron star collisions are the primary factories for gold in the cosmos. The amount of gold produced and ejected during the merger of the two neutron stars may be as large as ten moon masses. At today's market rate, that amount of gold would be valued at ten octillion dollars - that's a 1 with 28 zeros behind it. Unlike supernovae, where lighter elements like carbon and iron are born from the demise of a single star, GRBs are the universe's most cataclysmic events and are powerful enough to forge precious metals. 6. Silver in Space: Researchers have concluded that silver production occurs in less massive stars than those that produce gold - and through an entirely different type of nuclear fusion, called the weak r-process. Stars with masses eight to nine times that of the sun may explode at the end of their lives as faint low-mass supernovae and create elements up to palladium and silver, but not heavier. It seems that this weak r-process can be connected to supernovae of much lower masses than what was previously thought. So while the amount of the metal ejected by a single star may be quite low - as little as a billionth of the original mass of the star - these silver-producing supernovae may be more widespread than their larger, gold-producing cousins. That cosmic disparity, may help explain why silver on Earth is so much more abundant than gold. 8. Byangoma with chhata... since it's raining all around!